Let's take a mellow, intimate trip into the music of Brooklyn-based singer/songwriter Chloe Lilac. "Heartbreak City" is hands down one of the most engaging and heart-touching pieces of music I've found in a while. It brought up some old memories and experiences. Not in a mellow, but rather nostalgic way. It was more... the kind of thing you are glad you've experienced as it has helped you change, grow and learn about yourself and life itself. 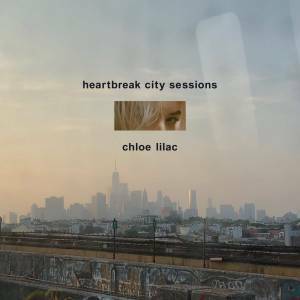 The song of part of a 3-track EP Chloe released titled Heartbreak City Sessions. An absolute must-hear bedroom pop experience. The song is a song about the ways hookup culture in new york city has objectified myself and other young women I know. Specifically it’s about one guy who really showed me how gross hookup culture can be.